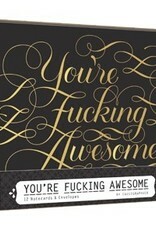 Profanity never looked so good! 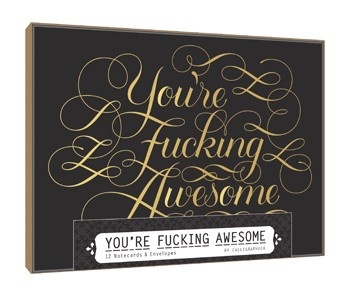 Featuring affectionate expletives in gold foil-stamped calligraphy on black, these eye-catching notecards are a delightful way to express one's true feelings—with humor and style. Card interiors are white for easy writing.